None of these tips are going to save your life but they might save you a little money, time or culturally unaware embarrassment. Fill up often. The price is the same everywhere and some destinations are a long way from the nearest service station. That Cop isn’t Waving to be Friendly – If you see a police officer standing by the side of the road waving at you don’t wave back and drive on past. Most traffic stops in Costa Rica are conducted from the side of the road so instead of flashing lights and a siren you’ll likely be pulled over by a simple wave followed by pointing at the shoulder where you should pull over. 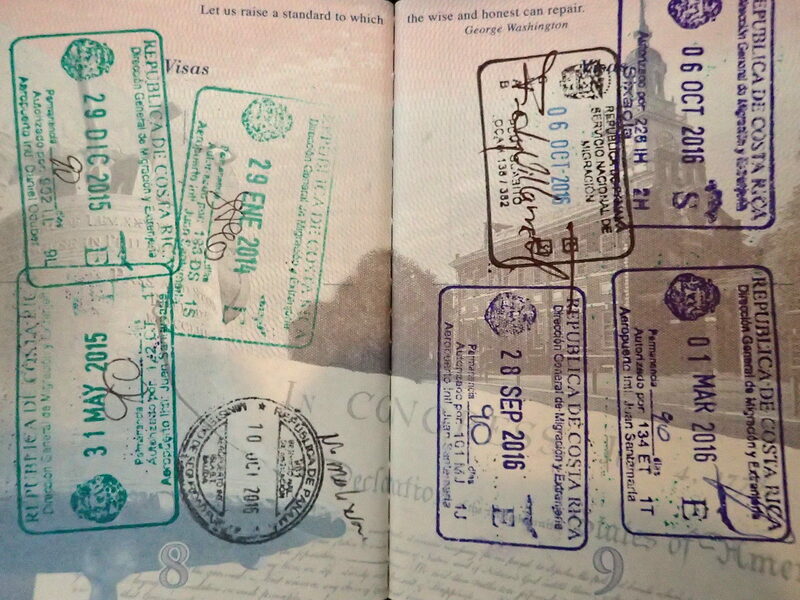 Passport Copies—Ask the rental agency or your first night hotel to copy the picture and visa page of your passport. There is no reason to carry your passport on your raft trip (leave it in your hotel safe or at the desk) because a copy is sufficient and accepted, BUT it does no good to make a copy of your passport before you leave home because the entry visa stamp page is required. Your first opportunity for a valid copy will be at the car rental agency desk or your arrival hotel. Take advantage of it then don’t expose your passport to unnecessary risk. Spend Dollars Get Colones – Never buy colones at home or in an airport. The exchange rates and commissions are atrocious. 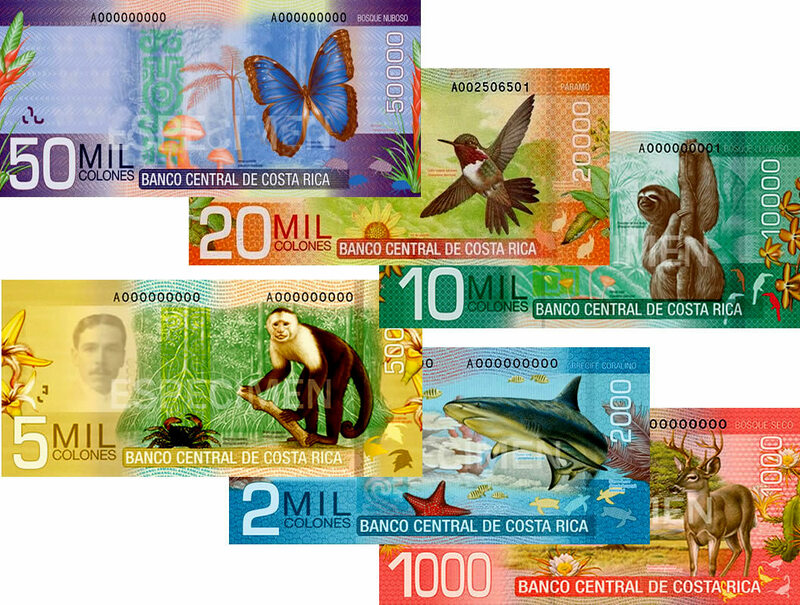 US$ are accepted nearly everywhere in Costa Rica and you will typically receive your change in Colones at a fair rate. In a day or two you’ll have plenty of Colones to spend at the occasional snack stand on the beach that only accepts local currency. BYO TP – A small packet of kleenex in a purse or a camera bag comes in handy if you need to use a restroom on the road. Service stations, small restaurants and National Park visitors centers frequently do not supply toilet paper (see finding a usable public restroom). That Stinks – Another bathroom tip. There are almost never fans in Costa Rican bathrooms. You may have paid $400 a night for a beachfront suite but even there odds are you’ll have to make do with a small window for ventilation. Ice Melt – Drink Lukewarm – A frozen water bottle may seem like a great idea until you open your pack to discover that everything inside is soaking wet. A 1L bottle frozen solid will create about 0.25L (a cup) of condensation on the outside while melting in 98% humidity. You might as well just dump a cup of water in your pack to begin with. It’s not going to work anyway. I froze a 1L water bottle solid at -20 °C and it was completely melted after an hour and a half hiking in the tropical heat. Unless you carry a cooler you’re going to be drinking warm water at lunch time. Free “Taxi” When You Don’t Have a Rental Car – Most canopy ziplines, rafting trips, horseback rides and other tours include transportation from and to your lodge and most other lodges around the area you’re visiting. Whenever we’ve asked they’ve been happy to drop us off anywhere in their service area. Of course they aren’t obligated to accommodate you but if they are headed into La Fortuna to drop off other clients it doesn’t cost them anything to drop you there instead of delivering you back to Tabacón or another resort you’re staying at. This works especially well in areas like Arenal, Monteverde and Manuel Antonio where you might want to go into town for some souvenir shopping or to try another restaurant and it’s likely other tour clients are already headed there. You only have to pay for a taxi (or wait for the bus) one way instead of both and have an extra $15 to splurge on desert. Better than Cattle Ear Tags, But Not Much – The bright neon plastic wristbands that many resorts and lodges use to identify whether you qualify to drink free at the bar, use the hot springs, which dinner menu you can order from, and even whether you should be allowed on the grounds are annoying. I’ve always asked politely if I can carry it in my pocket instead of wearing it and they’ve always agreed. If they seem hesitant tell them about your plastic allergy or that it bothers you in bed and you can’t sleep. You Have to be at the Airport Earlier – Immigration requires you to be checked in at least one hour prior to your flight departure to use the information you submit to check up on you. Because they need this time the airlines are forced to close check-in one hour before departure so if you aren’t done and already in line for security an hour early you may have to wait for the next flight. In 2014 the government announced with great fanfare that the departure tax would be included in all airfare eliminating the line that travelers had to wait in before they got in the line to check in. It took three years to implement but by early-2018 most airlines include the tax in the ticket price. Blanket—Ask for a blanket. When you walk in to your hotel it might be 90° and 90% percent humidity but at two in the morning the air conditioning, a weather front or the altitude may catch you by surprise and at least once you’ll want the option of just pulling on a cover. Except in Deluxe and Luxury class hotels the beds are often made with only sheets. Blankets are nearly never be provided so ask when you check in. Fill ‘er up Often—If you’re driving fill the tank every time you get close to half full. 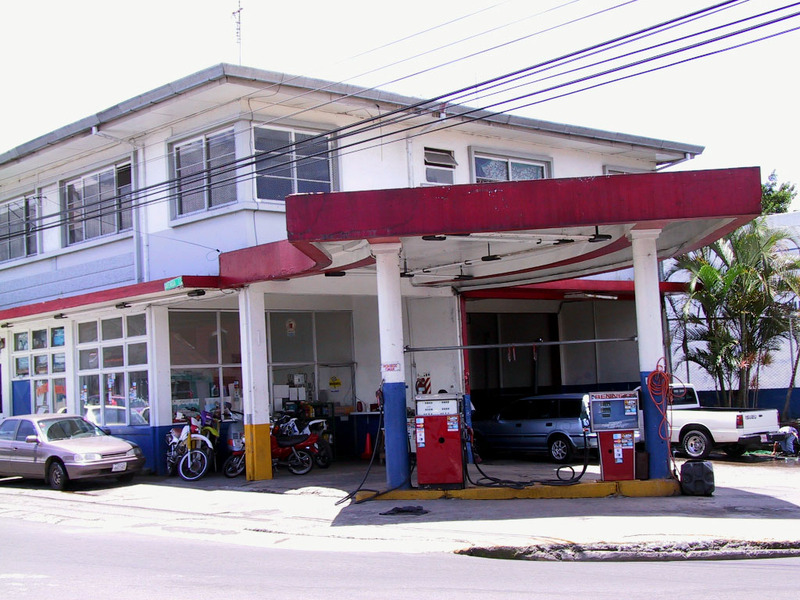 There is nearly nowhere in Costa Rica where you can’t reach a service station with half a tank. However, there are a number of places where a quarter tank will leave you walking down the road with an empty soda bottle hoping to find someone with a full tank, a piece of hose and willingness to give up a couple of liters for $20. Unlike the U.S. or Europe where fuel might be 50% more expensive in tourist areas the price of gasoline and diesel at stations is set by the government and exactly the same at every station.